Guitar music fans, take note! KSER's Jim Hilmar reaches a milestone this weekend: 20 years of hosting his popular Frettin' Fingers program on 90.7 FM. It was back on November 19, 1997 when Jim sat behind the mike for the first time and hosted his very first "Frettin'Fingers, The Guitar Music Show" on KSER. Back then, when Jim started he was a radio novice, but he was already a world-class guitar expert. Not only was he a great picker, but he also was a professional writer for a couple of guitar publications; notably writing the popular monthly “SPOTLIGHT” column for Vintage Guitar Magazine for 10 years. So the guitar part was a natural for Jim and now he's a veteran radio guy too, with two decades of experience. He's part of the Saturday lineup on KSER that also includes the Big Bandstand; the Juke Joint; Byran Ollie's Soul & Funk Express and the Gumbo Mix! 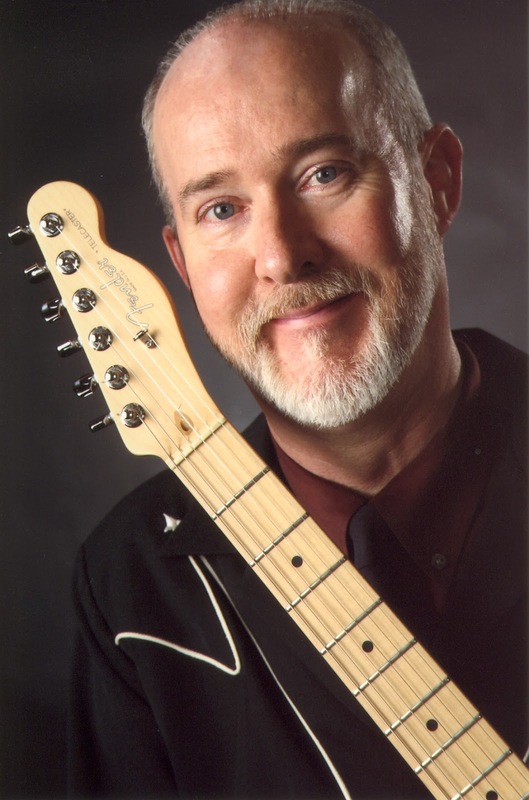 Through the years, Jim has interviewed great guitar players like Brian Setzer, Jimmy Bruno, Larry Collins, Speedy West, Gary Potter and Leon Rhodes and drummer Jan Kurtis. He's also written liner notes for numerous CD’s including projects by Howard Roberts, Pearl Django, High Noon, Lester Peabody, The Rainieros, Scotty Anderson, Gary Potter, Joe Cohn and more. Jim grew up in a musical family and has always loved guitar. Now, in addition to playing a lot of great guitar artists on the radio, he also plays and records his own music. Frettin' Fingers is a show you never want to miss Saturday mornings at 11 a.m. on KSER. Congratulations Jim! And thanks for 20 years of great radio!